You can win a signed copy of Our Endless Numbered Days here. I started writing properly when I was forty (I’m not sure I can count the writing I did for my English O’Level, although i know I enjoyed it). A friend of mine mentioned NanoWrimo (National Novel Writing Month) and I thought it sounded like a crazy, fun thing to do. So, I wrote 50,054 words in one month. But I didn’t know anything about writing, how books are structured, and even less about editing. What I wrote couldn’t in any way be called a novel, so I deleted it from my computer. It’s gone, completely. Then I started writing short stories, and in 2012 started writing Our Endless Numbered Days. Q2. Do wish you could get that first novel back and review it now that you’ve progressed with your writing talents? Do you think your current situation would give you a different view on the quality of writing? I deliberately haven’t re-read Our Endless Numbered Days because of that exact reason. I made it as good as I possibly could before it was published, but I’m sure, having had more experience of writing now there would be lots of things I’d like to change, and I wouldn’t be able to. Q3. Did you always want to be a writer? No, I wanted to be a sculptor. I thought that writers, or authors, were very special individuals, and although I’ve always read a great deal, it never occurred to me to write. Q4. What spurred you to take up the pen and write? I’ve always had a creative aspect to my life. I trained as a sculptor and up until I started writing, I was still drawing and carving. I’m not sure what exactly made me switch from one to the other. Perhaps I was looking for a new challenge. I’ve always read a lot and never considered becoming a writer until I was forty and started writing short stories. Q5. How did you feel when you were writing this book? Tortuous! I discovered that actually I don’t really like writing that much. I don’t plan my novels, so I often had no idea what would happen next, and putting one word in front of the other was often very difficult. What I also discovered though was the enormous amount of satisfaction when i wrote ‘The End’ at the end of my first draft, and then how much I love editing. Really, I only write so that I can edit – play around with the characters, the structure, the paragraphs, and finally, each and every word is considered. Q6. How long did it take to write? It took me a year and quarter, but that was while I was also working full time. I would write every evening and most weekends, unless I was away on holiday. I have a very supportive husband, so he cooked the dinners and did all the other things that needed to be done while I was writing. Q7. Do you have a special place where you go to write? I write in my sitting room. I’ve written two books almost reclining on my sofa! But last week I finally got a desk and now I sit at it in a proper chair. The desk is only slightly bigger than my laptop, but still big enough to write. Q8. When you begin writing, did you ever think you’d get to where you are now? Never! It is so difficult to get a novel traditionally published these days, so although I knew I wanted that, I really didn’t think it would happen. 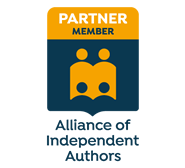 i didn’t know anyone in the industry, so I submitted my manuscript to agents and it was selected off the ‘slush pile’, and ultimately sold to Penguin as well as eight other publishers around the world. It’s not something I could ever have anticipated. Q9. Do you feel proud of yourself knowing what you’ve achieved? And what are your hopes for the future? I’m not sure proud is the word. Amazed? Incredulous? Okay, maybe proud – not of myself but that a book I wrote is out there in bookshops; a book many people seem to be enjoying. That’s a wonderful feeling. I gave up my job in marketing a year and a half ago in order to write full-time, which was always going to be a risk. Will I be able to continue paying the mortgage? Will my next book be bought? So my biggest hope is that I will be able to continue sitting at my desk writing fiction. And of course, I hope my books will be read by some people and that a few will like them. To enter the competition and win a signed copy of Our Endless Numbered Days, please visit the Giveaway. Oh, I think I just found the next book I’m going to read.